Bound4LIFE is a grassroots organization. That means the power of this movement is in the ability for everyone to easily get involved. In order to accomplish this, we provide information, training and resources that are designed to help you get involved right now right where you live. Where are the people who will answer God’s call to prayer over the holocaust of abortion? Where are the new leaders who will fight for the next generation? Who are the ones that will intervene to prevent the wounding of countless mothers and fathers? Are you one of them? We need leaders in every city who burn with the Godly desire to see abortion end. It's easy to start a Bound4LIFE Chapter in your city. The only requirements we have are that you embrace the ethos of the movement, organize a Silent Siege at least once a month, and organize a corporate prayer meeting for the ending of abortion and sending of revival, at least once a month. There are two guidelines for Chapters to follow. 1. 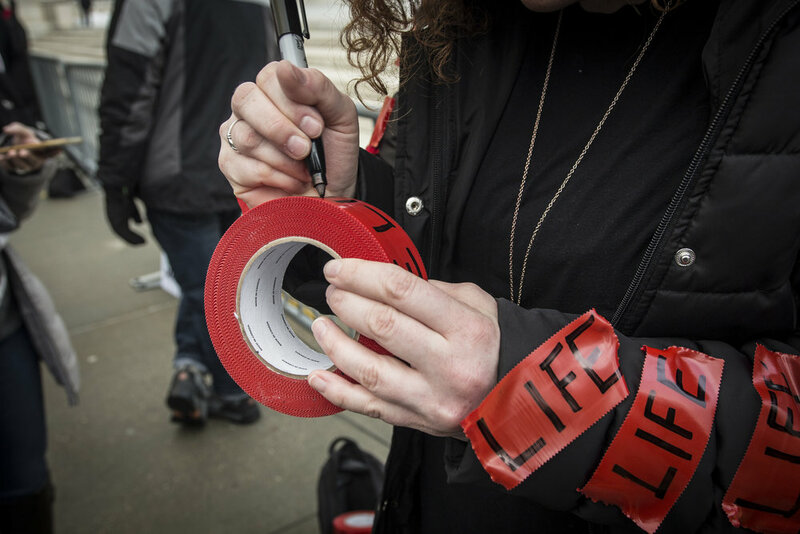 Organize a Silent Siege at a local abortion center or courthouse at least once a month. Keep in mind that's the minimum. If possible, rally like-minded friends and do it more often. 2. Organize a corporate prayer gathering at least once a month that's focused on praying for the ending of abortion and the sending of revival in the nation. That's it! If you would like to start a Bound4LIFE chapter in your city, please contact us. We'll help promote your chapter by adding it to the Bound4LIFE website so that others in your area can join you.